Summer Game Day Pass tickets will be sent to fans day of game. 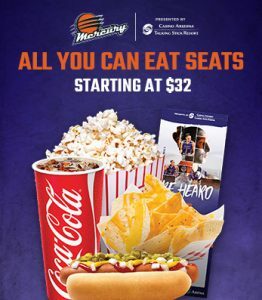 Seats will vary every game. 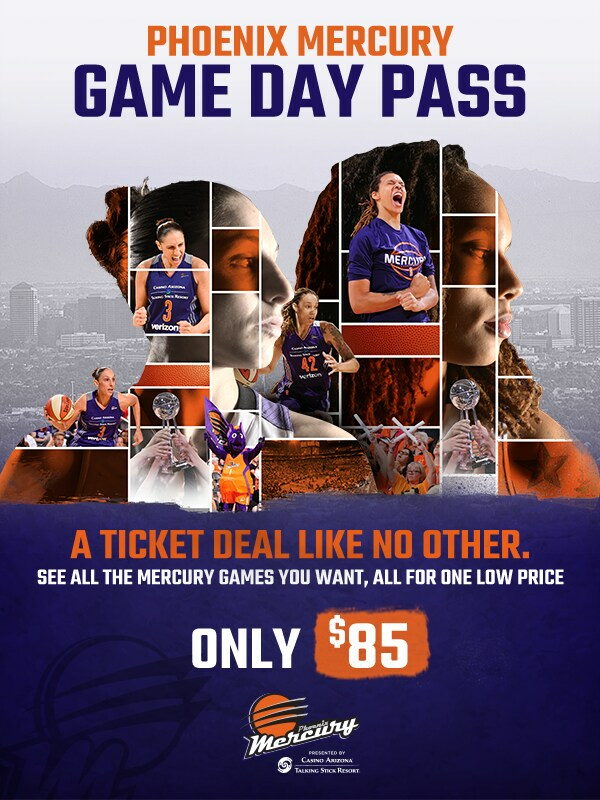 Students, you can score a $5 ticket to a Phoenix Mercury game! 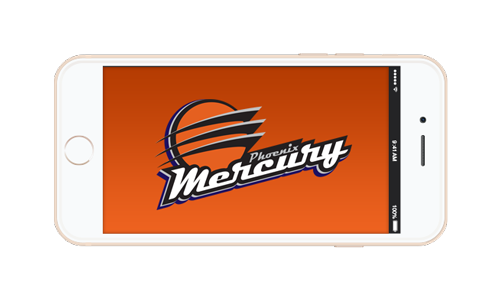 Mercury Student Pass is a new type of ticket designed for high school and college students that gives access to last–minute Mercury seats. 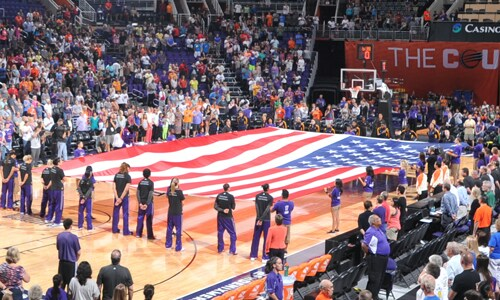 The Phoenix Mercury offer military personnel 20% off tickets to any home game, while supplies last. Military personnel will receive 40% off tickets to Hoops for Heroes Night brought to you by APS on Thursday, July 19, while supplies last. Tickets can be purchased at the Talking Stick Resort Arena Box Office or on Ticketmaster.